Home Jewellery This one is for keeps….Jacob & Co.
Jacob & Co.’s Infinia collection captures the impassioned feeling of falling in love and encapsulates it in everlasting form. 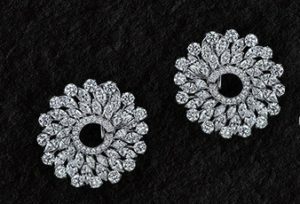 Perfect for everyday wear, in smaller sizes the earrings can be your everyday accessory. 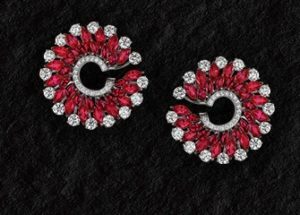 Add drama and style to your evening look with larger sizes in earrings and that WOW factor with the cocktail ring in a choice of precious stones to suit your mood. 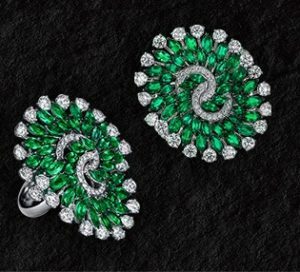 Choose emeralds , rubies or go magically white with just diamonds in various cuts, The array of designs and styles is stunning. The collection is vibrant, vivacious and deliciously alive. Classic Jacob &Co. , don’t give the collection a miss cause this one’s for keeps! 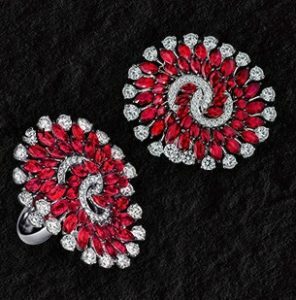 18K White Gold Infinia Collection Ring with 12.77ct Marquise Cut Rubies and 4.99ct Round Cut Diamonds. 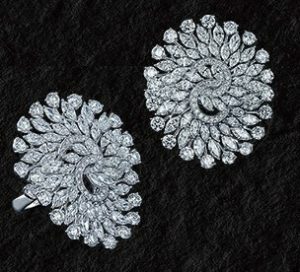 18K White Gold Infinia Small Size Earrings with 10.38ct Marquise Cut Diamonds & 7.78ct Round Cut Diamonds. 18K White Gold Infinia Collection Ring with 8.47ct Marquise Cut Diamonds and 5.76ct Round Cut Diamonds. 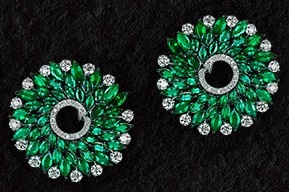 18K White Gold Small Size Earrings with 10.00ct Marquise Cut Emeralds, 6.97ct Round Cut Diamonds. 18K White Gold Infinia Collection Ring with 8.54ct Marquise Cut Emeralds and 5.69ct Round Cut Diamonds.